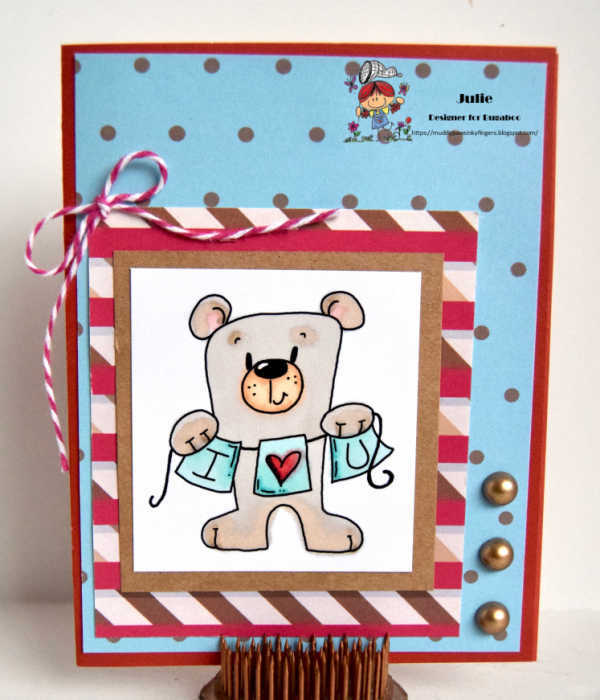 Muddy Paws & Inky Fingers: I Heart You Bear -- Friday Freebie at Bugaboo! Friday!!!!! Freebie!!!! At Bugaboo!!!! Get you cruising shoes on and get over to Bugaboo! 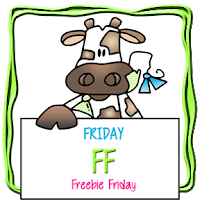 Today's Friday Freebie is an awesome one! The papers on this card are from We Are 3 Digital Shop. They are one of February 2019's new release, Baking Cookies. Aren't they yummy? I used a recipe for this card from the Outlawz Monday Greeting Challenge. It has 2 patterned papers, 3 brads (OK, pearls! ), and a bow -- and of course, the I love you greeting! If you'd like more inspiration on how to use this delightful I Heart You Bear from Bugaboo Stamps, stop by the Catch the Bug Blog. Pick up today's Friday Freebie, and join us tomorrow for our Anything Goes challenge. It will take place at the Catch the Bug Challenge Blog! I heart you too Julie. Your bear is too cute. Stay safe this weekend.